What to Avoid When Purchasing an RV? Buying an RV is probably among the most expensive purchases you can make in your life. When there is so much money, it’s obvious that you only want a quality product with perfect performance. However, from time to time, you will be tempted to buy depend on the words of the salesman alone and that is not good. There are names on the market that you should keep an eye out because of their notorious reputations. 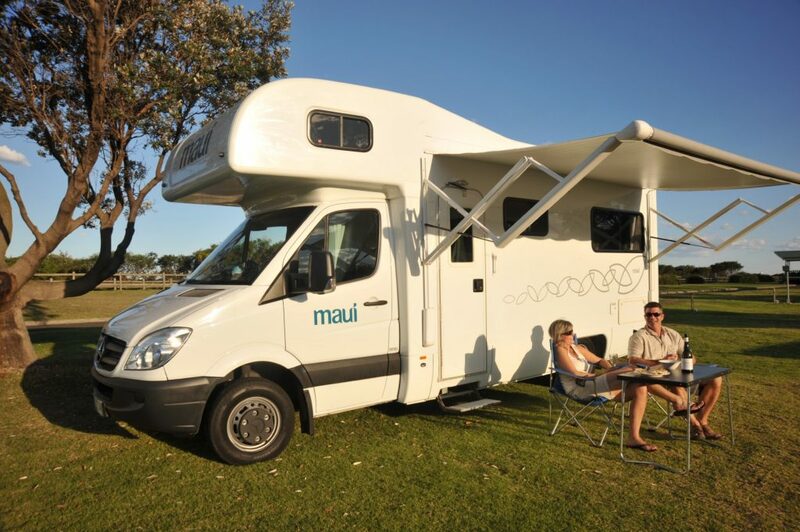 So if you are about to purchase your first camper then this article will be of use to you. You will be presented with travel trailer brands to avoid right below. Technically, there isn’t any brand that produces entirely bad products. To survive in the industry, each brand must have at least one or two things that a number of customers appreciate no matter how limited they are. But just to be safe, when you see certain names when it comes to RV, reconsider your option or avoid them altogether if you’re a first-time buyers. Of course, you should always go after a product that suits you the most even if it comes from a brand in this list. Yet before you make the decision, ensure that you have a firm grasp on every aspect RV from its operation to maintenance policy. Forest River RV, which is currently owned by Berkshire Hathaway, is a large American manufacturer of recreational vehicles. Its inventory includes travel trailers, fifth wheels, pop-up campers, and a few other variations of RVs. Though it used to be the most credible name in the RV industry, Forest River has slowly lost customer’s trust due to various reasons. There are a lot of complaints regarding leakage in the interior which lead to reductions of performance on the field. In addition to that, the issues of sinking floors present a major worry for people that travel around the year. Finally, the customer service of Forest River seems apathetic while receiving feedbacks from RVers and that kind of treatment steadily turn away many loyal clients. Although communities still hope that Forest River would eventually address its shortcomings, it’s a good idea to get your recreational vehicle from another brand. Until the brand manages to put a stop to the growth of negative reviews, you should exclude all of its models from your shopping list. It’s simply unwise for you to invest on Forest River RVs knowing that you likely have to deal with a plethora of frustrating troubles. So save yourself a headache and just pass over vehicles that come from the brand. 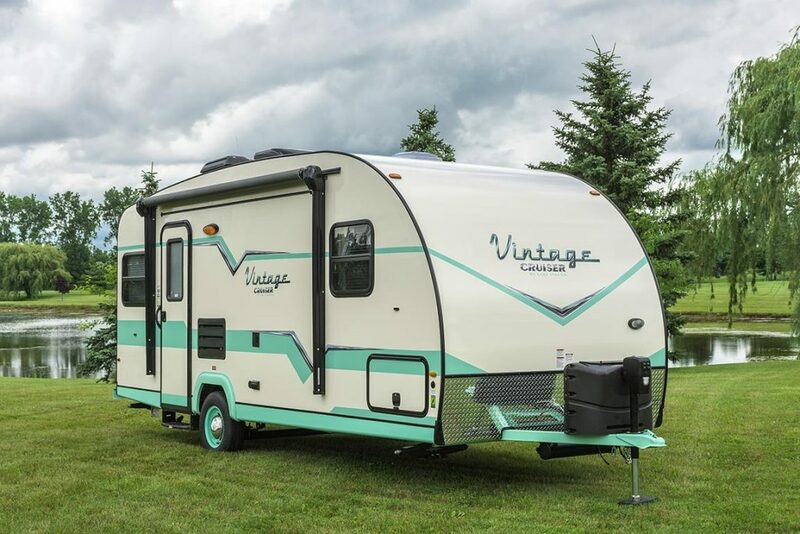 Starting the journey in 1996, Keystone is a latecomer in the RV industry as be one of the well-known manufacturers of towable RVs in North America. 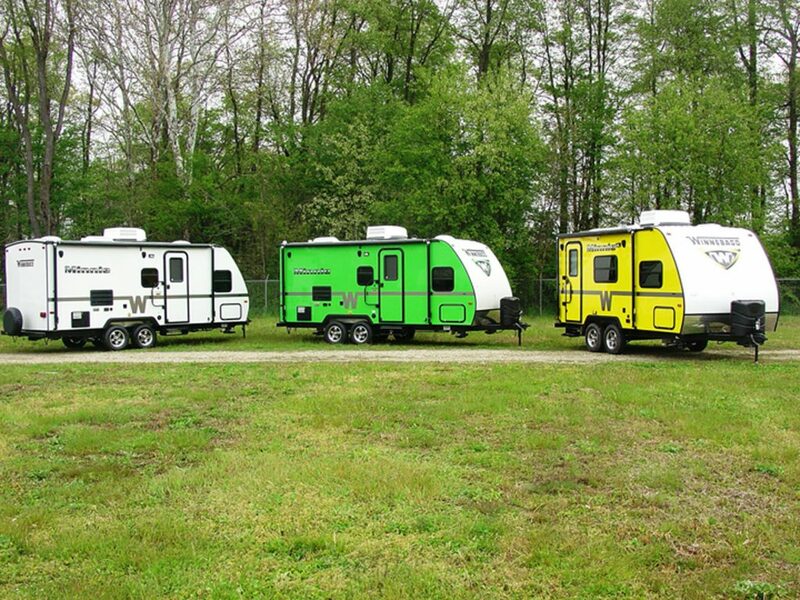 The company produces travel trailers, toy haulers, and fifth wheelers. 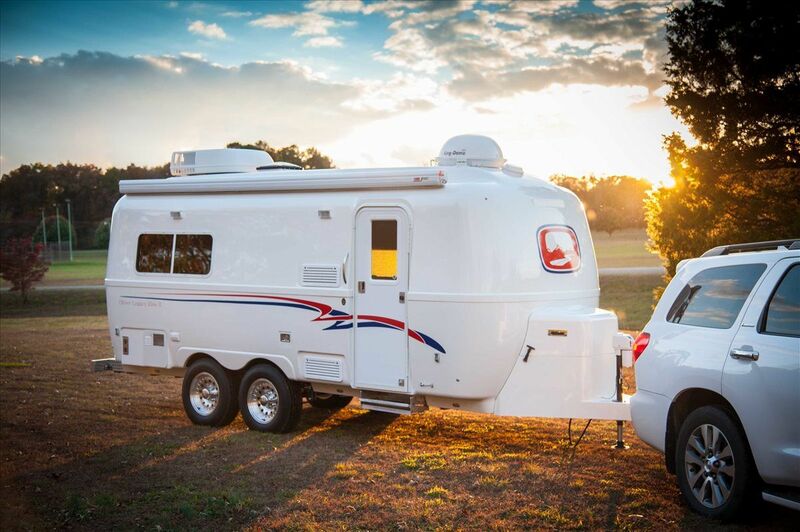 Providing customers with spacious, fuel-efficient recreational vehicles, they are however structural and technical issues which make Keystone receive a lot of complaints from RV owners as one of the travel trailer brands to avoid. Most RVers frown upon the mediocre quality as well as the finishing of the furniture. They claim that the cabinet doors fall off the hinges within short periods of time. Additionally, the control board of the vehicles proves difficult to manipulate which give substandard experiences. Aside from that, the website of Keystone itself is a pain to navigate and that give people a fairly hard time searching for relevant information. The helpline of the brand offer negligible assistance to the consumers and that makes people feel Keystone is unreliable in term of post-purchase support. Despite the fact that the brand already earns fame in less than a decade of operation, it needs to pay more attention to quality control. Before Keystone completely patch up the drawbacks of its vehicles, it’s far from ideal. Talking about the experience with Jayco, customers tend to share different opinions. While some have been satisfied with their purchase, there are reportedly a great deal of Rv owners complained about their Jayco travel trailer as a big waste of money. Jayco RVs feature a wide array of built-in facilities and facilities that appear quite attractive at first glance. However, such things usually fail after a while and that lead to huge maintenance expense. Obviously, no one likes to foot the repair bill if the vehicle breaks down repeatedly. Common issues include water leakage, improperly installed ventilation, missing fixtures,… A couple of RVers even claim that the toilet seat of Jayco RVs is shoddy. With multiple unhappy consumers, it’s clear that Jayco cut corners while assembling its recreational vehicles to reduce manufacturing cost. Aside from its stellar appearance, models from Jayco have nothing else to offer besides disappointment. Although certain integrated features perform adequately, RVers deserve more consider the money they have to pay to purchase the vehicle. 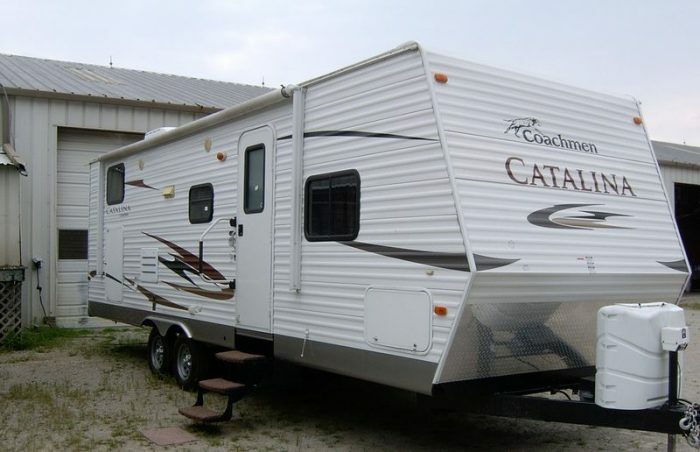 A lot people reviewed Coachmen as one of the worst RV brands to avoid! This is a rather well-known brand that has been in the business since the 1960s. They have introduced a wide range of recreational vehicles to the market. For most of the time, Coachman products are fairly good and will match a variety of customer demands. However, it seems that that later Coachmen RV has run into several issues that considerably reduce their usefulness in the field. The biggest customer complaint is that the product quality is not as good as it used to be. That’s the reason why Coachmen is in this travel trailer brands to avoid list. 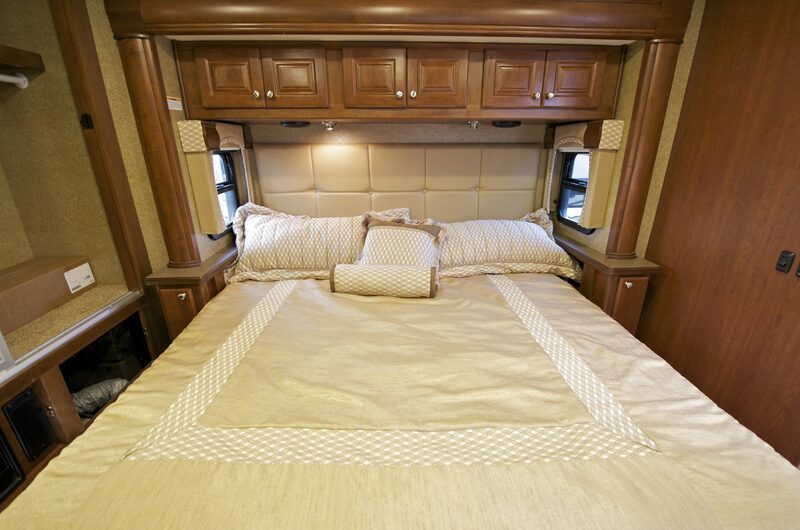 Most of the Coachmen RV problems take place in the interior which greatly impact the user experience with the vehicle. The drawer and the slides are fragile and flimsy so they cannot hold too much weight. Leakage is another notable issue as well which can quickly degrade the floor. In some models, leaking can be spotted around the vent, the shower and the sink. The problem will even get worse if you use the RV in rainy and humid weathers. This makes the time you spend inside the RV to be stressful and extremely inconvenience ones. The fridge upgrade in several Coachmen RVs has also lead to a rather annoying problem. After installing the new fridge, the wiring is left exposed with the wires ends visible. It’s serious enough that a recall has to be announced to fix the issue. Beyond that, you can face several technical difficulties while using the vehicle on the road that make it one of RV brands to avoid. The Coachmen Recreational Vehicle is surely not the worst thing you can get out there. But if you want to buy one of their recent models, do examine it carefully and know exactly what you are dealing with. In the list of RV brands to avoid, Winnebago is another brand you should consider carefully before buying! For a brand that has been around for quite sometimes, Winnebago does have some excellent products for you to check. Yet quality is a criterion that cannot be found on every Winnebago products. The market demand for a high number of RV seems to make the brand to scale back the quality control for increased production. Many instances of damaged walls and bent panels have been noticed in normal operations. Interior components frequently become loosed and require tightening. Lighting system tends to fail unexpectedly without warning. Plenty of other drawbacks have been reported which substantially lower the brand attractiveness in people eyes. Contacting customer service usually results in unsatisfied answers and little action from the brand. These are the reasons why Winnebago is named on the list of travel trailer brands to avoid. Fleetwood is another long-running brand that has operated for more than six decades. Their products used to offer respectable performance with tight post manufacturing exams. However, as time went by, recent Fleetwood models have shown many defects and shortcomings. As a whole, the brand RV quality has dropped quite a lot from before. Customer spoke about the low quality of interior that it degrades very fast. 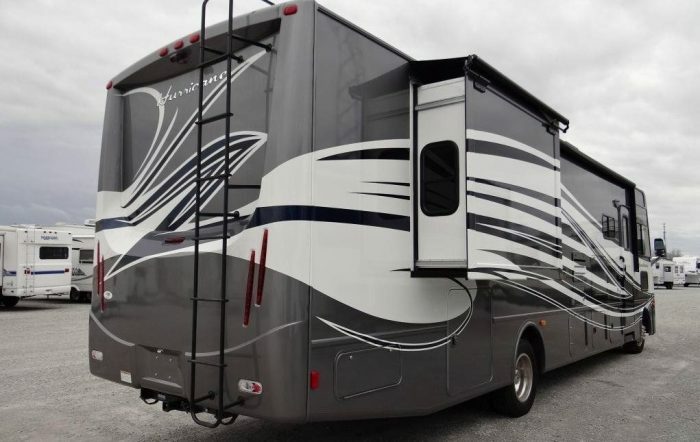 Compare to other RV brands, the inner portion of the Fleetwood RV age much faster. In operation, the RV battery sometimes refuses to be recharged which may render many functions of the vehicle completely useless. You could end up stranded in such situation. Not to mention the black water tank is prone to leaking even in the newer models. When being contacted by the customer, the company is commonly unresponsive. All of those complaints about Fleetwood make it one of the worst travel trailer brands to avoid. A lot of Rvers have raised their complaint about Gulf Tream as one of the worst RV brands. The last name we would like to refer in the list of worst travel trailer brands to avoid is nothing but Gulf Stream. It is a once highly sought after brand due to their popularity and admirable performance. But there are plenty of problems that need to be addressed in later products. Leaking and rusting are the issues that really get the ire of the customer. They greatly degrade the RV interior and lower your comfort while you are using the vehicle. Certain components are incorrectly installed or just illogically placed. The customer service is quite responsive though they might charge you extra fees to deal with the problem. Many reported defects make Hurricane one of the worst travel trailer brands. Most people never heard about this brand, and you’d better stay away from it. People that ever come into possession of a Thor Hurricane product have encountered a lot of issues. Brand new Thor Hurricane RV is said to be assembled of less – than – new components. To say the least, you can think that you own a collection of well-used parts than a complete RV. That being said, the quality of the brand product is definitely not up to specs. A wide range of operation difficulties, structure weakness and malfunction features can be found all over the vehicle. Many recalls have been announced since the company foundation three decades ago. Fire hazard, improper awning installation, failing BCC and ineffective parking brake are several prominent problems that have been fixed. Some of the Thor Hurricane RVs are eve release with incorrect weight rating which can make the entire thing to uncouple if you load the vehicle with too much weight. For most of RV buyers, Thor Hurricane is one of worst RV brands to avoid. 2 Winnebago Interior components frequently become loosed and require tightening. Lighting system tends to fail unexpectedly. 4 Thor Hurricane Fire hazard, improper awning installation, failing BCC and ineffective parking brake. Many recalls have been implemented. 5 Gulf Stream Leaking and rusting are common issues. Avoid the RV shows if they make you rush into a deal. You should be researching and taking notes because purchasing an RV involves lots of money. It’s an investment too because used vehicles have good value in many secondhand car markets. 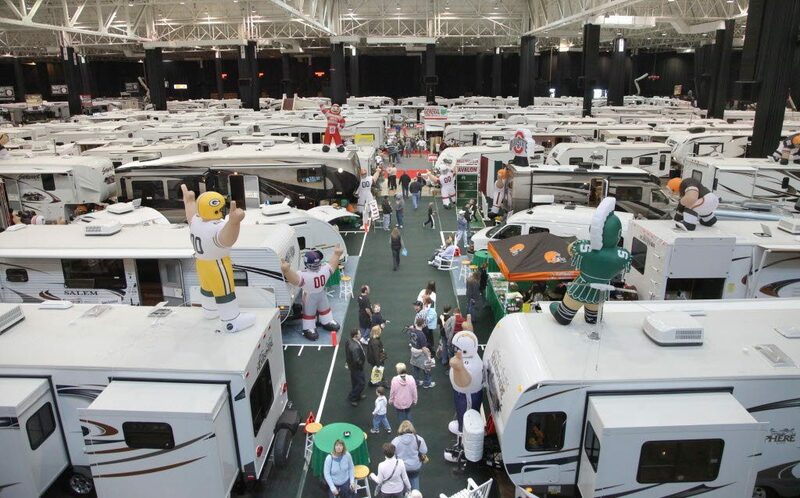 Avoid the RV shows because the salespersons push the buyers to make a hasty decision. Don’t be caught up in that excitement only to find out later that the trailer is the wrong size, type, or too expensive. There are so many brands and manufacturers to choose from. So, it requires some effort on your part to find the best product. Find out information online about the make and model and read the related forums to dig out the best deals. Attend local RV shows, request brochures from the companies, and take factory tours, if required. These will help you learn more about all the available options. Video: If you are an RV first-time buyers, watch this to know more about the worst travel trailer brands to avoid and other useful tips! What do you need the RV for? A small travel trailer is enough if your plan is to camping in the state parks or exploring the scenic backroads. However, it will feel small and cramped when you are looking for a cross-country adventure with one or two friends. In that case, a large motorhome will be the best choice. You should never do it because it determines how much the RV can pull and can take the weight of extra gear. It refers to the total weight that a vehicle can two and it varies from one model to another. 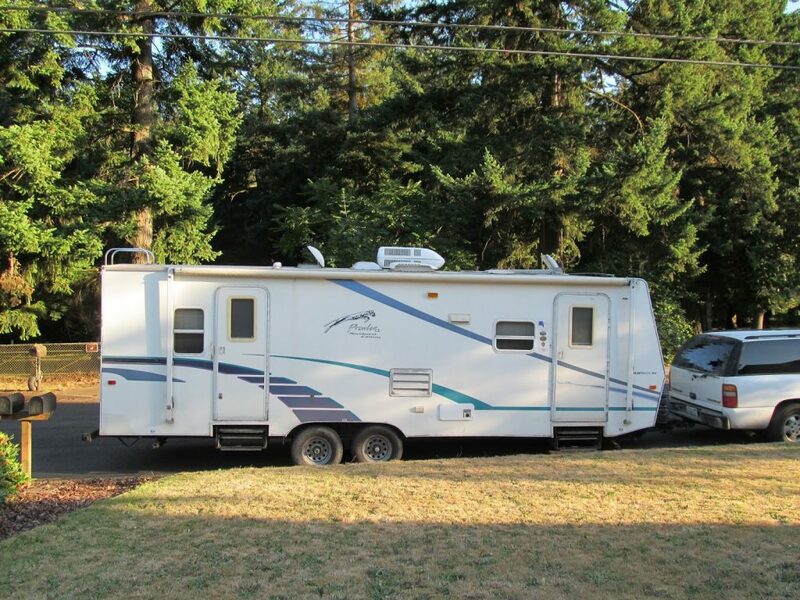 If your RV has a low tow capacity, you can’t use it for long trips and carrying much stuff. Ignoring the two weight could be costly. For trailers, it’s of utmost importance that you need to learn the towing capacity. There are a total of two weight ratings listed on the owner manual: Dry Weight and Gross Vehicle Weight Rating. Between the ratings, you should be concerned with the Gross Vehicle Weight Rating as it tells you the weight of the loaded trailer: stowed gears, full water tanks and more. Furthermore, assess the hitch on your vehicle to make sure that it’s able to tow the trailer without incidents. Replace the hitch at once if its weight rating is incapable of handling the trailer. Everyone wants to buy from a reputable RV dealership but there are certain travel trailer brands to avoid. One or two hours of scouring through online information will give you a good idea about the best and worst make and models in the market. 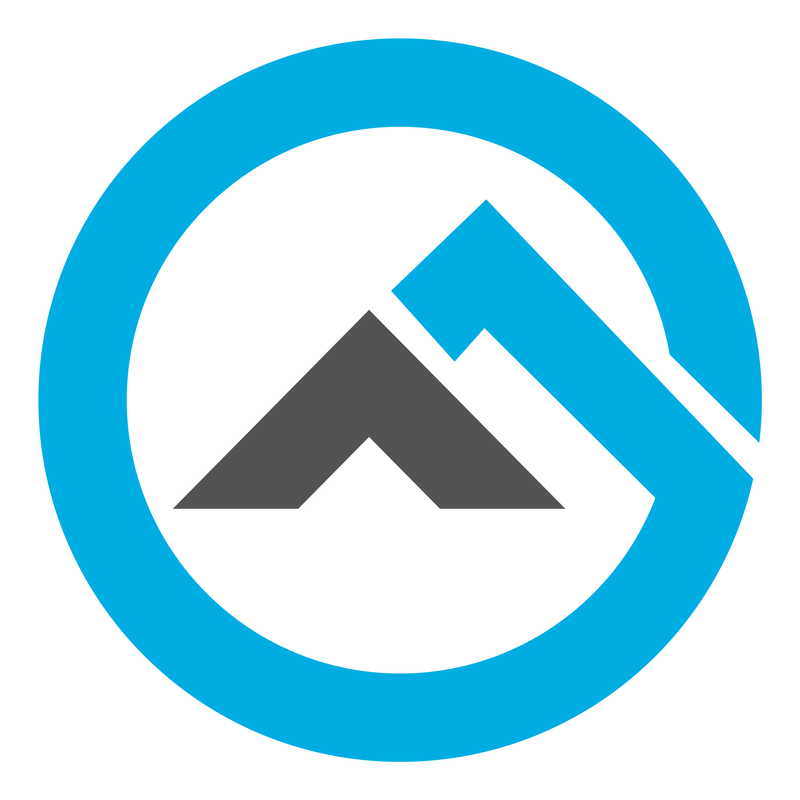 Check the google reviews, ask in reputable forums, and if possible, contact the company’s customer service to see how professional they are in handling customers. You can also choose a comparatively new brand if it offers warranty on their sold units and has a good selection of parts and accessories. 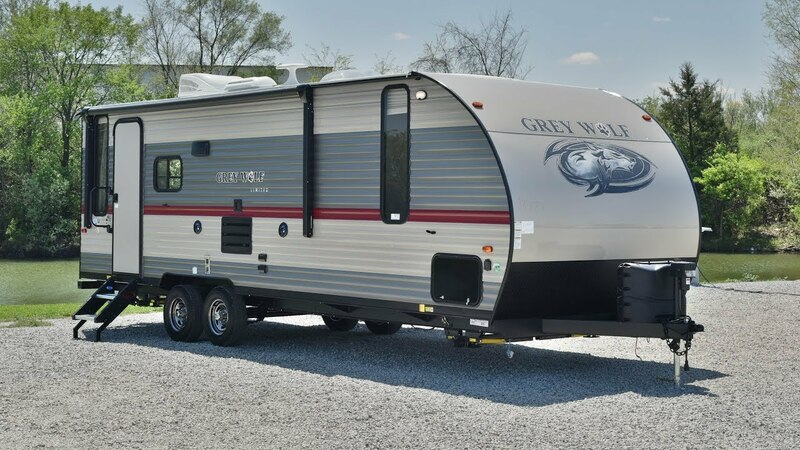 By avoiding the worst travel trailer brands listed above and closely follow the steps, you can narrow down your search range and will eventually manage to make a wise and informed purchase. Remember that buying from a top-notch manufacturer can save you plenty of hassles. Want to buy an RV, here are some tips for you! The title to this is TRAVEL TRAILERS to avoid….Number 1 was travel trailers and the rest were Motorhomes. Gulf Stream, for you info, has not made the style of motor home for several years. Thank you very much for your supporting comment. Shouldn’t the title of this be “Brands to Avoid?” Because the worst brands to avoid would be brands that you ought to buy. I have a 2018 Winnebago Micro Minnie and find its quality to be excellent. Mine has given no trouble whatsoever and its build quality and materials seem quite satisfactory, if not industry-leading. BTW, I’m a retired professional Quality and manufacturing Engineer with 40 years experience in my profession and have owned several RVs, too. It’s usually all about preference and past experiences. So if someone had a good experience with a forest river they might like forest river. Then a person had a bad experience they won’t like them anymore. It’s like a car. I won’t buy a Pontiac ever again not just because they are out of business but many other issues. I like my Toyota much better. Amen! I’ve heard nothing but bad things about Forest River, but I have a friend that’s that’s all his dad has ever owned, so my friend just bought a brand new Forest River for himself and after looking it over, I’m thinking about getting a new Forest River myself. Andy Knowles well I have an fr3. Lots of little things getting annoying. I’ve had it for three years but I came from tent camping so I have nothing to compare to. All I can say is you need to be a little handy. Buying trailers from any brand, check it carefully. There will be pros and cons of all travel trailer brands. If buying new go in restroom and stand in shower. Pretend you are taking shower and see how much room you have or see if you have to bend over to shower. Also check toilet for roominess. Other thing I would get a rv with a 15,000 btu ac and have them install a sewer flush as soon as you buy. If buying used get an inspector before purchase. They have a lot of people that do quick fixes to sell. But problems still exist. Find out what your tow vehicle can tow. If it can handle over 5000 lbs you can tow a under 4000 lbs trailer. You have to allow 500 lbs per person in gear. Never max out the vehicle. Just because it says it can tow 7000 lbs doesnt mean it will handle good and the sway is bad. WE WOULD LIKE TO KNOW THE BEST TO WORST 5th BRANDS OF RVS!! I feel the worst 😭 RV brand to avoid is Forest Rivers RVs . The warranty is is a joke no one wants to do repairs under factory warranty that have a hard time getting paid and have to wait forever to get parts. We have a new Avenger ATI and in the first month of owning it the walls are coming apart ,inverter Dead , furnace dead , stereo dead, floor buckling up , screws coming out of window frames , 110 out falling out of walls , and a hole lot more. Called company and all I could get was lying from top executives down. So would recommend not buying any of their RVs unless you are ready to throw your money away. The new Shasta’s because they are not made with the quality of the older models. I am not trying to offend anyone, I love the way it looks but I have seen so many with poor workmanship, 20 or more. They had the name and could have produced a killer camper. I mean no disrespect, just trying to be honest. My friends have all sold theirs and many are still in a shop trying to be fixed, so sad. I’ve had 2 made by KZ, one Pioneer, and one Forest River. No real problems out of any other than some very minor items which were covered under warranty. Forest River, bad on warranty repairs and will not stand by their product. I camp in : hammocks, tents, our Teardrop camper and I have owned in the past a 29ft Mallard and 2 different 24ft Jayco campers. I love camping period. I could care less what I’m sleeping in as it’s only a vessel to rest my head at night so I can get out of it in the morning and enjoy the great outdoors! I see them only as camping gear. Focus on why you camp and less on what gear you choose to get out there. There isn’t a camper on the planet that won’t need something fixed or replaced at some point in time. Camper companies come and go and some are better than others but for the most part they are all pretty good once you get any bugs worked out. I would suggest doing some factory tours. We did this after the fact at rally’s we attended and were glad we bought the brand we did. Nothing is perfect, but when you see them being put together and meet the people working on them, you have a clearer picture of what you are gonna get, my opinion. For instance, after a Thor factory tour all the Thor owners were very upset that their units were all glued together and no nails or screws were used in putting them together. Someone didn’t care about the rattling and vibration theses rvs take each and every time they are out. We regret buying our Coleman. Made cheap. Had small roof issue at 8 months old. Black water pipe windy…not as straight as it should be so emptying can be painful. Avoid light weight/ feather weight. They are made cheaper in every way, in the name of tow weight. That’s my feeling anyway.